Download the Sokule Training Guide Now! 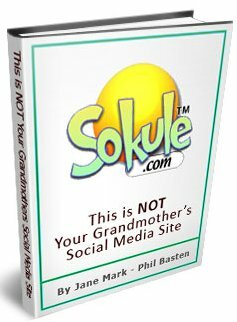 Grab Your FREE Copy of the New Sokule Training Guide and Discover why Sokule is NOT Your Grandmother's Social Media Site. This comprehensive guide contains just about everything you always wanted to know about Social Media web site advertising but were afraid to ask. Download your free guide now. You'll also receive daily training and tips on how to get the most out of Sokule.